The popular phrase ‘Unity in diversity’ is best rephrased as ‘Unity in calamity’ to describe selflessness of real life heroes from different walks of life, different communities and different religions, in the catastrophic event of Kerala Floods 2018. Everyone from young children to professionals to fishermen to merchants to Indian army, Indian navy and ISRO has come forward to help the flood victims directly or indirectly. With monetary donations, relief materials, labor, sympathy and prayers pouring in from all quarters at home and abroad, it seems that positive forces of humankind have united against the destructive forces of nature to save and rebuild the flood-hit Kerala. 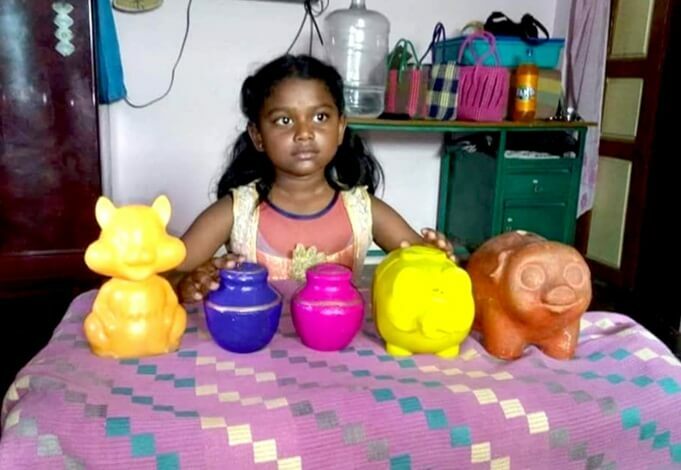 8-year-old Anupriya from Tamil Nadu turned a well-wisher for the victims of Kerala Floods 2018 by donating INR 9000 from her piggy banks. On seeing the disturbing visuals of the plight of the flood victims on TV, her heart went out to them. She postponed her plan to buy a bicycle, broke open her piggy banks and donated all her savings for the relief work without any hesitation. Anupriya’s contribution is an inspiring example of unconditional compassion. Humanitarian acts are not bound to riches. A groom whose wedding has been postponed due to severe floods in Kerala, proved it by turning the wedding venue into a relief camp for the stranded in the nearby submerged areas. K J Jaydeep in Kurichy near Kottayam opened the wedding venue in front of his house to shelter the stranded and set up a makeshift kitchen to cook food for them. Indeed! If there is a will (to help), there is a way. Since August 8, 2018 Kerala floods have displaced more than 7, 00,000 people and rendered a few lakhs homeless. As usual, Indian armed forces are playing instrumental in relief operations for the affected. 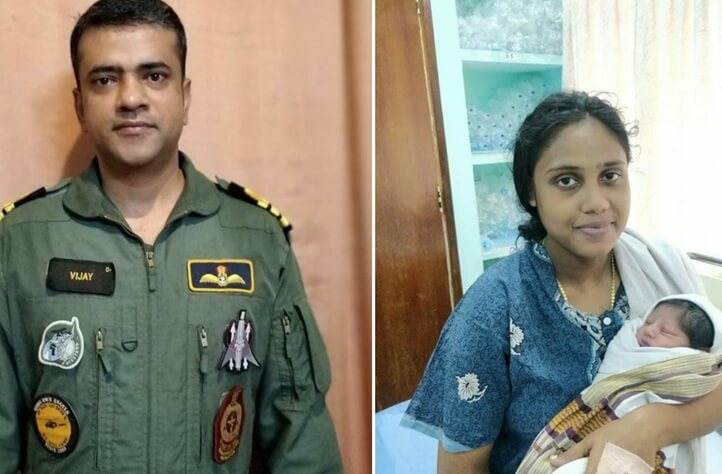 Among the unsung heroes on a mission to rescue the stranded people in flood-hit Kerala, Indian navy pilot and commander Vijay Varma hurriedly responded to the call of a pregnant lady who was awaiting the delivery and airlifted her from the rooftop of a house submerged in the flood waters. She was safely shifted to a hospital in Alappuzha, where she delivered a baby boy. Out of empathy for the victims of #Keralafloods2018, the families of a bride and a groom cancelled the engagement ceremony in Kannur and donated the money to Kerala Chief Minister’s Distress Relief Fund. The bride’s father, PM Manoj, the resident editor of Deshabhimani took the initiative to cancel the engagement and donate the money set aside for the ceremony, with support from the groom’s family. How they could make merriment when most of Kerala is grappling with devastating floods, is the thought that hit him hard. The Sikh community is always on the forefront of service to the poor and the needy, from Syrian refugee camps to Kerala floods 2018. A UK-based Sikh NGO, Khalsa Aid has come forward to feed over 3000 stranded survivors in Kochi, one of the most affected regions of the flood-hit Kerala. 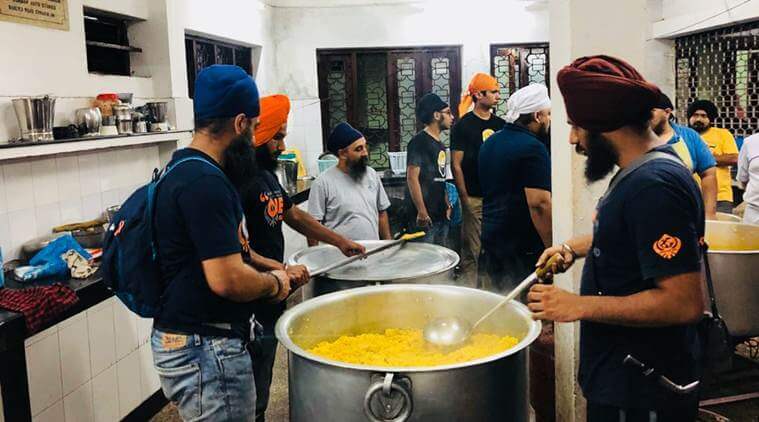 The Khalsa Aid volunteers opened langar, a community kitchen at the Sri Guru Singh Sabha Gurdwara in Kochi, where they cook and distribute healthy meals to the relief camps. Initially, they funded the langar with their own money. Now they are taking donations to continue the langar. Common people like fishermen have joined Indian army in the rescue mission and relief operations for the victims of Kerala floods 2018. A community of over 100 fishermen has been navigating the flooded streets of Kollam, Ernakulum, Kannur, Thiruvananthapuram and Alappuzha, in their boats stocked with drinking water, food packets and life jackets for the affected. Most of the fishermen have put aside their daily work to continue helping with the relief operations. While the opening of dams releasing excess waters from incessant rains caused death and destruction in Kerala, an official of the National Disaster Response Force turned a brave hero and savior for a child suffering from fever. When the rain waters released from the Idduki dam was gushing towards a bridge at a breakneck speed, an NDRF official named Kanayya Kumar from Bihar was crossing the bridge with the child in his arms. The bridge got completely submerged a few seconds after the moment he crossed it and reached the shore. We at Travel Beats, an Indian Diaspora portal by Indian Eagle Travel, salute the real life heroes on rescue and relief missions for the victims of Kerala floods 2018. May the heroes of Kerala floods not remain unsung! May their stories of selfless service and unconditional contribution continue to inspire generations!